This entry was posted on November 8, 2016 by Texas Safety Supply. Texas Safety Supply is now a Certified Supplier of Portwest Safety. Portwest Safety is a leading global manufacturer of Industrial Safety Supply products, Flame Resistant Clothing and Cut Resistant Gloves. 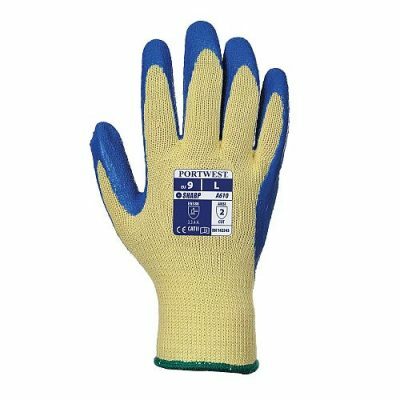 Portwest Cut Resistant Gloves are an excellent price value purchase proposition while providing some of the Best Cut Resistant Gloves available. Check them out for the quality of their product. Some of our Best sellers follow. Protection. A tightly knit HDPE Yarn with a Nitrile Formula shell offers Cut Level 5 Protection on this 13 Gauge shell. The Grip is slightly different than most cut resistant gloves in that it has properties in the Nitrile Blend that give it a "sandy" feel. Almost like you had some sand in the palm of the hand embedded into the Nitrile Dip. This helps to give these Cut resistant Gloves a good grip for anything that may slip out of the users hand. Not necessarily from being wet or oily but from potentially handling a some what heavy Object. 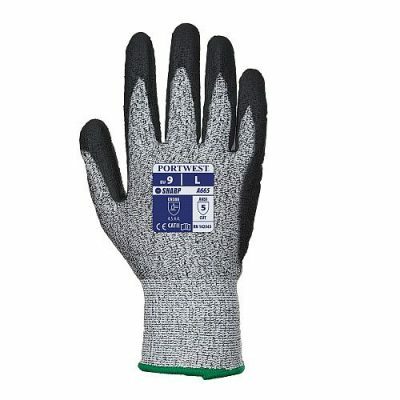 The Portwest A665 Cut Resistant Gloves provide the grip and the Best Cut Protection available. 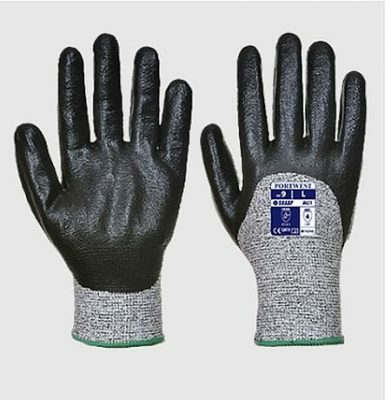 Having worn these myself, I have found them to provide great Cut protection but you can still easily move your hand and fingers within the glove giving you the dexterity and handling that you require performing Industrial job duties. Polyurethane coating. 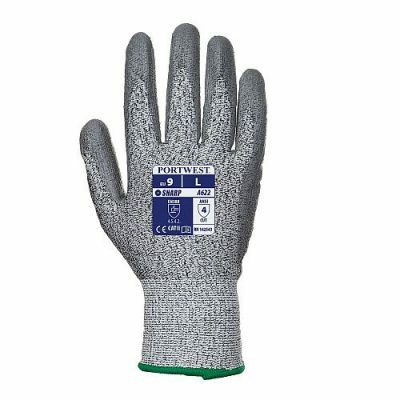 The grey shell will hide the dirt a bit longer extending the life span and usage of these Cut resistant Gloves. Polyurethane is another great choice for those needing hand protection while still wanting great fingertip use for proficiency in handling delicate objects and still require the fingers to be very nimble in their handling of small sharp objects that may cut. The composition of this liner makes it very light weight and breathable. A good choice for any climate or heat condition. allows for a better grip when objects are either wet or dry. Kevlar is the go to material and one of the first products to offer cut protection gloves. Texas Safety Supply has a tremendous supply of Cut Resistant Gloves available to ship today. As always orders of $200 or more have FREE Shipping and if you have a Volume order or need to set up weekly monthly orders are discount prices then please call our office to discuss.